Announcing the launch of the inaugural Motor City Muscle® Festival with an exclusive, authentically Detroit party at the historic Ford Piquette Avenue Plant – birthplace of the Model T. Make history and revel in automotive and musical inspiration as MCM announces the complete festival schedule of events. 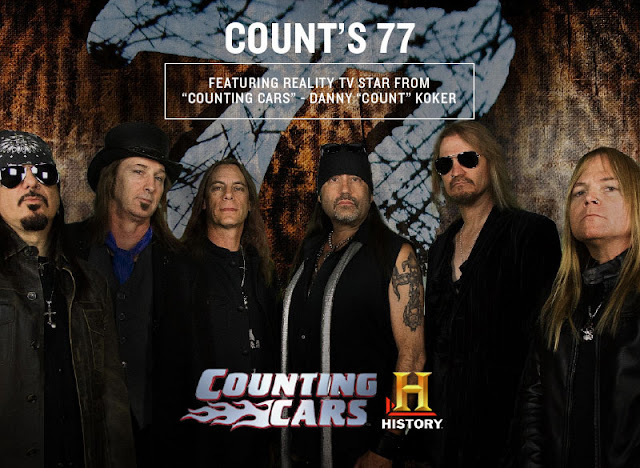 The exclusive party inside the Ford plant and in its courtyard will present two rock stages featuring performances by Detroit-raised Danny Koker of the History Channel television show Counting Cars and his band Count's 77 and Detroit Music Award-Winners The Muggs. 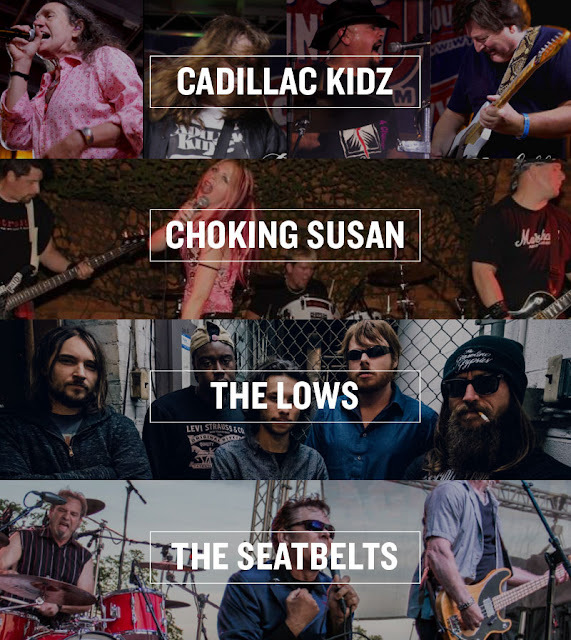 Enjoy additional performances from the MCM Motor-Rock Contest Winning Bands, Cadillac Kidz, Choking Susan, The Lows and The Seatbelts. ROYAL OAK RIB FEST: JULY 3-5 WITH THE HOWLING DIABLOS! 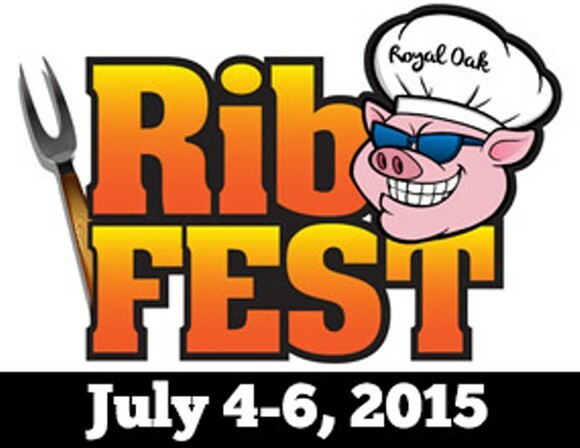 The Royal Oak Rib, Beer & Music Fest is Friday-Sunday, July 3-5th at the Royal Oak Farmer’s Market. As the name implies, there will be an unparalleled selection of ribs and barbeque complimented by craft beers and full bar service. Admission to this family friendly event is free with multiple stages of music, dozens of restaurants, a rib cook off, kid’s zone, and more! Barbeque by Chicken Shack, Old Carolina BBQ, Stonewood Smokehouse, Smoke Ring BBQ, Taste N Tell BBQ, Rub Pub BBQ, Big Mo’s BBQ, Dobo’s Bayou Billy BBQ, Detroit BBQ, Walter's Kitchen BBQ and Jackson's Five Star Catering. 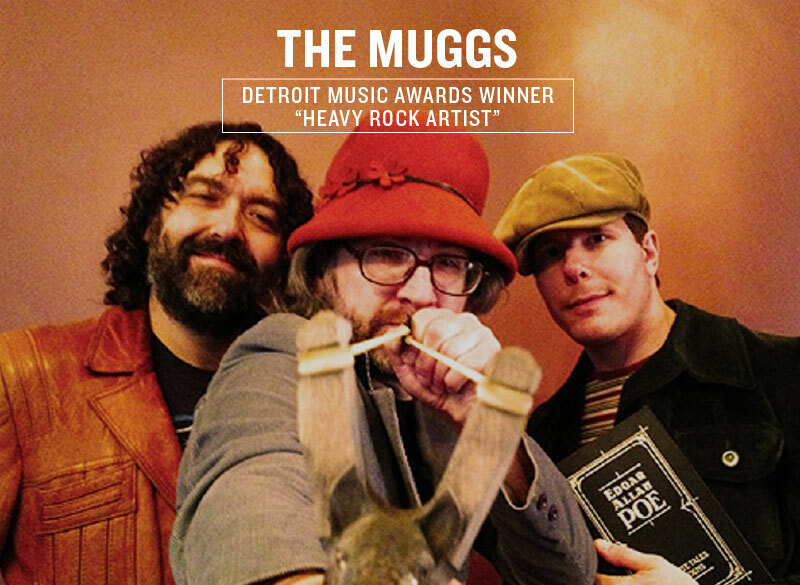 THE MUGGS HAVE A NEW RELEASE! PARTY IN FERNDALE MARCH 21! 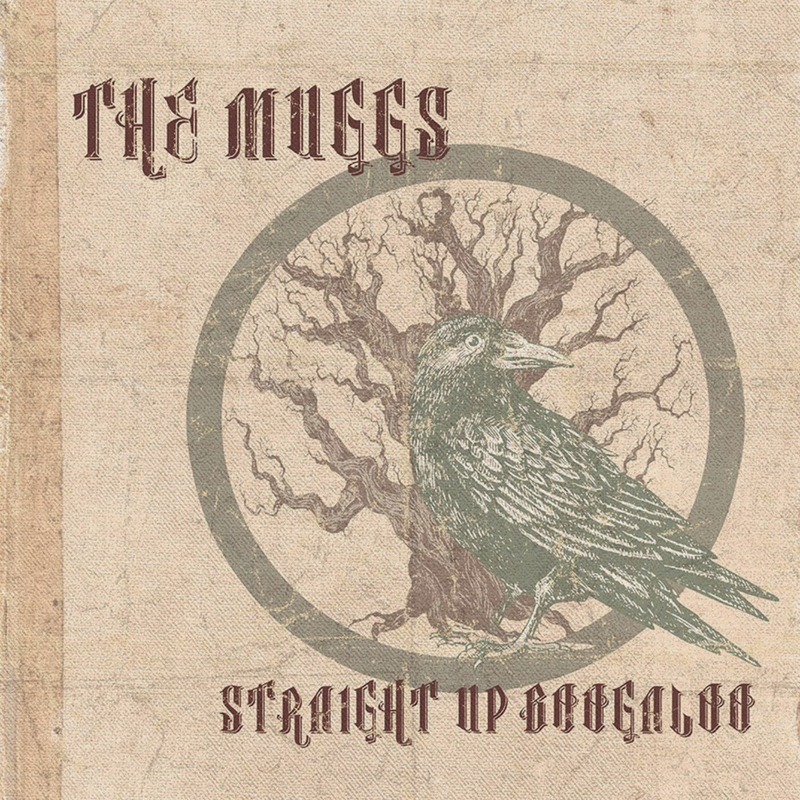 The Muggs are getting ready to release our 4th studio album entitled, Straight Up Boogaloo on March 21st 2015. We are having a record release party on the same night at Magic Bag in Ferndale, MI. Would you be interested in reviewing this LP and have it correspond the week of our record release party? Please let me know. 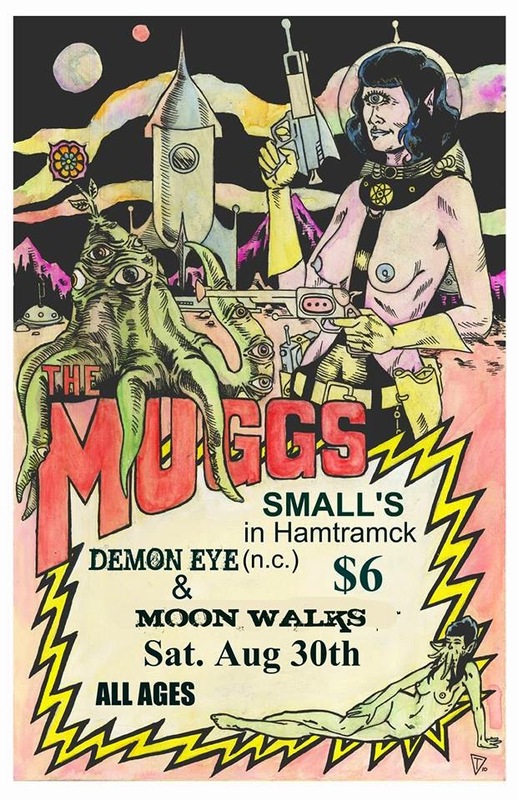 THE MUGGS/DALLY IN THE ALLEY/VOYAG3R/FRANTIC FLINTSTONES! Caveman Woodman and Blue Snaggletooth? Sounds like an episode of the Flinstones, doesn’t it? Not in Ypsilanti and not in the breakfast joint-turned-music venue-soon to be taco stand? Thursday through Saturday, Jukebox Productions will host Fuzz Fest. 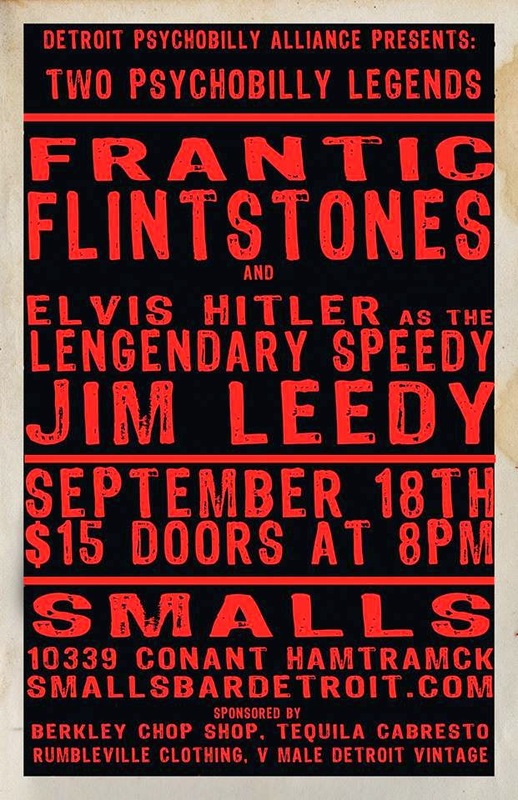 3 nights of Loud, Fun, Fuzzy, Overdriven, Rock & Roll. Ever since Willie Johnson of Howlin’ Wolf’s band cranked up his gain in the early ‘50s, guitarists have been searching for awesome, loud, bone crunching, distortion. Michigan has been a hot bed of high-intensity rock and roll since the ‘60’s and this week you can hear an awesome sampling of what that search has returned. 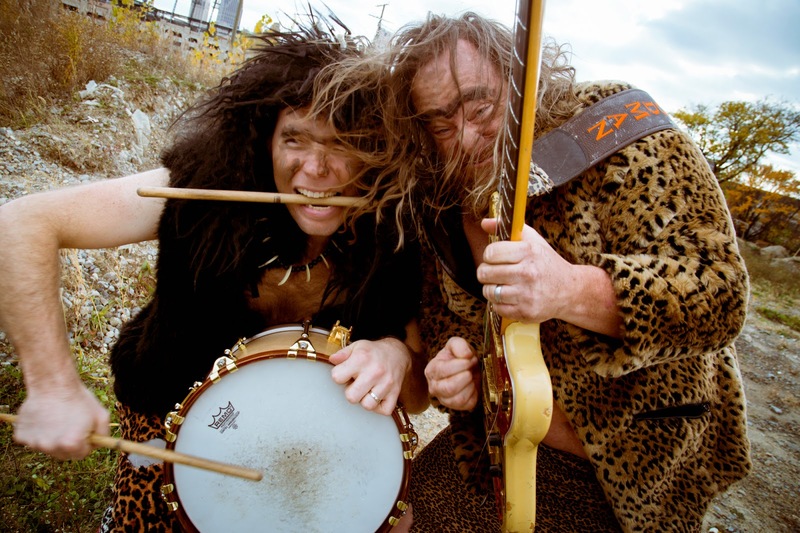 Caveman Woodman is gnarly, swamp stomp, dirt covered, fur wrapped musical evolution. 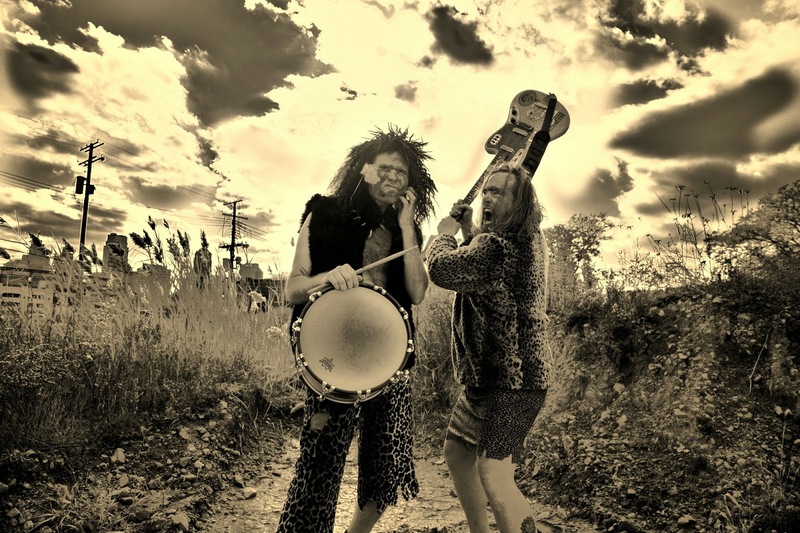 You may have caught him guerilla rocking outside a Detroit show or playing atop the cement patio wall outside of PJ’s Lagerhouse and now you can see him in Ypsi on stage as a duo with Bam Bam Moss. 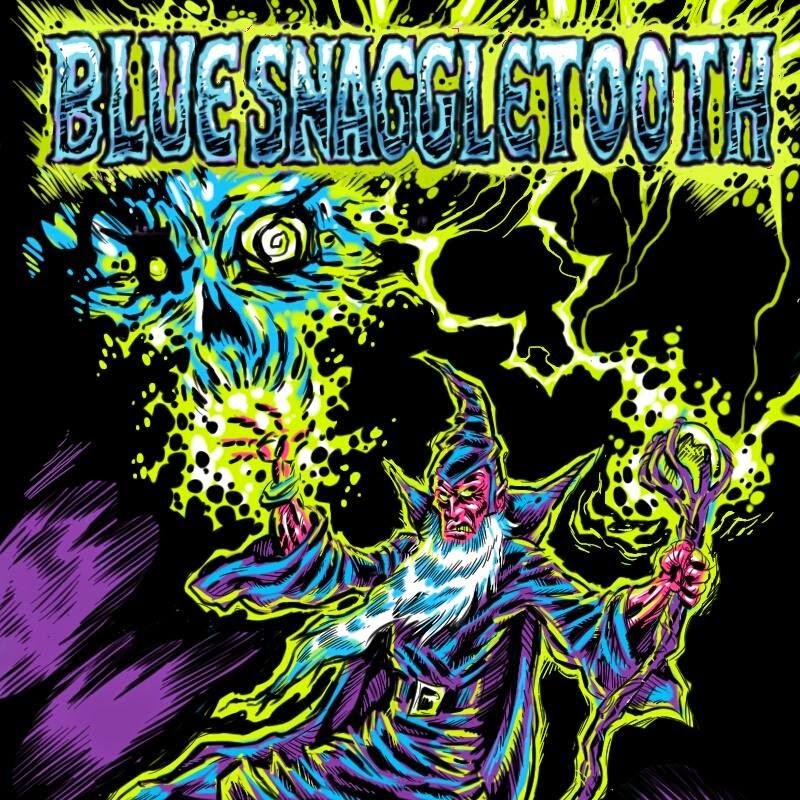 Blue Snaggletooth is “Psychedelic, D&D, Rock & Roll with muscular grooves and furious guitar work”. Fronted by Chris Taylor (Mazinga, Powertrane, and Michigan legend Scott Morgan) and featuring Guitarist Casey O'Ryan and bassist Joe Kupiec, both rock & roll prodigies steeped in hard rock and classic boogie. "They're not brothers, but they should be," says Taylor. Mike Popovich drives the train from at the helm of the drumkit. The band’s first release, ‘Dimension Thule’ sold out its first pressing and the band is working on a new album. 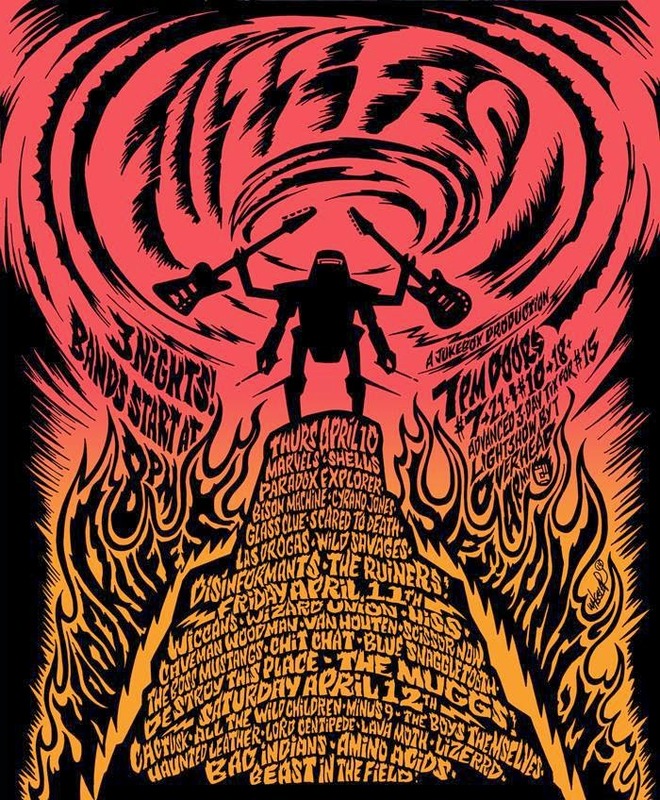 Both of these awesome acts are on the Friday night bill along with 9 other great Michigan acts.Here’s the lineup below and a link for more info on all 3 high-intensity nights of Fuzz Fest. 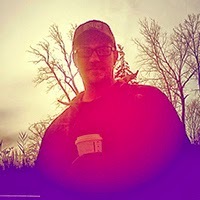 Jason Osburn a Kimchi and craft beer fueled artist, graphic designer, chef, daddy, and writer. (not necessarily in that order) He’s worked in and around the music industry in Detroit and Nationally for the better part of 20 years. 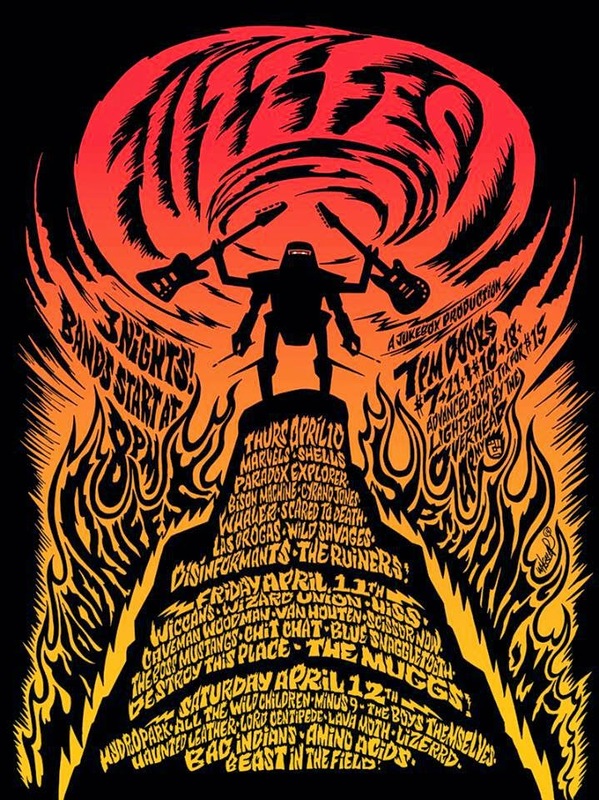 FUZZ FEST @ WOODRUFF'S APRIL 10-11-12 RUINERS*THE MUGGS*AMINO ACIDS AND MORE!